Kelsa Bartley joined the University of Miami Libraries in 2013 as a Manager in the Reference and Education department at the Louis Calder Memorial Library. Kelsa has a Master of Science (MS) in Information degree, with a certificate in Health Information Technology from Florida State University. She has a Bachelor of Fine Arts degree in Photography from Barry University, in Miami Shores, Florida. Kelsa is Calder Library’s EndNote Specialist, and she manages Calder Library’s social media presence on Facebook and Twitter. She creates content for the Library’s promotional materials, displays and online presence. She also answers questions related to mobile apps and library resources with videos and images. Kelsa is one of the Library’s representatives on the University of Miami Miller School of Medicine Dean’s Diversity and Inclusion Council. She is also a committee member on the Diversity and Inclusion Task Force for the Medical Library Association (MLA). 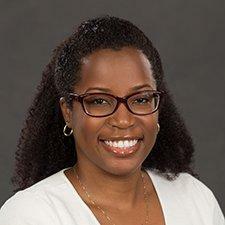 She is currently the Social Media Coordinator as a member of the Florida Health Science Library Association (FHSLA). She is also a member of the MLA Southern Chapter, the American Library Association (ALA) and the Florida Library Association (FLA).